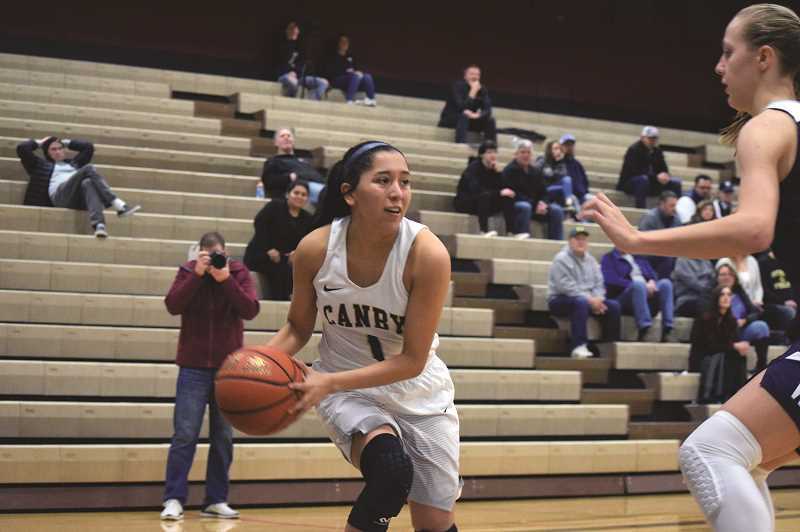 Outlook: Last year's Canby girls' basketball team did not exactly come out of nowhere, but was still a pleasantly surprising improvement from the year prior. The 2017-18 squad made it into the second round of the playoffs after claiming third place in the ever-competitive Three Rivers League (TRL) with a 10-6 conference showing. In the playoffs, they ran into a buzz saw in the form of eventual state champions Southridge, losing 70-54. While the team had a strong showing, this year's squad has its work cut out for it. After graduating three all-league players in Cassidy Posey, Alice Lambert, and Hannah Myers, the Cougars only have three returning players who were full time varsity members last year. There would be four, but junior Samantha Baguio suffered a torn ACL and is out for the season. So, heading into the 2018-2019 season, Canby returns juniors Ally Odell, Naarai Gomez, and Nicole Mickelson to the starting five. "Nicole brings a lot of versatility offensively," Knight said. "She can face up and can also post up and beat you off the dribble, she can beat you inside, shoot the jump shots. She's got a lot of offensive versatility to her game." "Ally is a really strong defender and rebounder, and hopefully we'll start utilizing her a little more on the offensive end. We've got to get her offensive minded. She's capable of scoring, we just have to get her comfortable. Naarai can pass the ball, and she's going to play the point guard spot for us. It's going to be really effective that she handles the ball well for us, and minimizes the turnovers. We'll look to her to give that floor leadership that we'll need." In the TRL, Canby will have to overcome the usual league stalwarts Tigard and West Linn, both of whom finished last season with a 25-4 overall record. Those teams are expected to contend once again for the league title, as will TRL debutante Oregon City who won the Mt. Hood Conference last season. Knight also expects St. Mary's to be well improved. "There won't be an easy game on our schedule once we hit league," Knight said. "We'll have to do all the little things well. We have to take care of the basketball, box out, rebound, and take advantage of opportunities at the free throw line." That last key to victory was not present in the team's season opener against Lincoln, which saw the Cougars lose 40-36 to the PIL team. Canby went 4-for-14 from the line in that game. If the Cougars keep their play clean, Knight believes his team can improve enough to make things interesting in TRL play. "I think you'll see a hard working team that won't give up or give in," Knight said. "It's an inexperienced team, but we'll play with a lot of effort and enthusiasm each night, and you'll see us get better as the season goes on."